Classic films have paved a way for today’s films. What I would classify as classics are The Wizard of Oz (1939), The Adventures of Robin Hood (1938), King Kong (1933), Snow White and the Seven Dwarfs (1937), Mary Poppins (1964) and Dr. No (1962) – just to name a few. Another classic, is Gone with the Wind (1939). In this film, there is a phenomenal actress who clams the title of the “First Female African American” to win an Oscar in 1940, for her supporting role as Mammy – Hattie McDaniel. 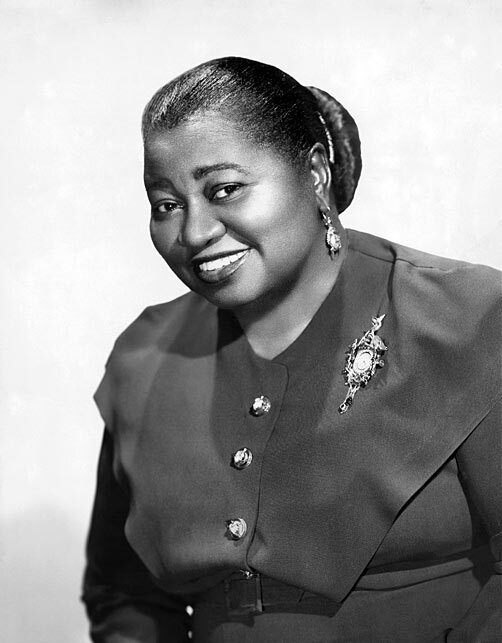 Hattie McDaniel was born on June 10, 1895, to Henry McDaniel and Susan Holbert, in Wichita, Kansas. She was the thirteenth child in the family. When she was six, she and her family moved to Denver, Colorado. For schooling, she went to the 24th Street Elementary school. Like her parents, she had a tendency to perform. She sang wherever ever she could – in church, school and with her family. She also went to Denver East High School for two years. Not surprisingly, she handled professional singing, dancing and performing skits in shows all while in high school. 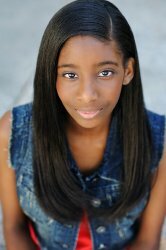 When she was fifteen, she left school to train with her father’s minstrel troupe. Afterwards, she spent some time on Professor George Morrison’s orchestra. When she was twenty-five, she was invited to perform on Denver’s KOA radio station which made her the first African-American woman to sing on the radio in the United States! A couple of years after that, she landed a steady gig as a vocalist at Sam Pick’s Club in Milwaukee. In 1929, Ms. McDaniel’s siblings, Sam and Etta, persuaded her to move to Los Angeles where they had managed to get minor movie roles for themselves. Shortly after landing in L.A., Ms. McDaniel had a chance to appear on her brother’s radio show. She was a quick hit with listeners and was dubbed “Hi-Hat Hattie” for getting into formal wear during her first KNX radio performance. Ms. McDaniel landed her first major on-screen appearance in 1934 in John Ford’s Judge Priest. In 1935, she preformed the role of Mom Beck in The Little Colonel (Shirley Temple and Lionel Barrymore). The film brought her to the forefront of producers and directors’ minds and gave her a steady flow of recommendations. In 1939, Ms. McDaniel accepted the role of Mammy, Scarlett O’Hara’s house servant in Gone with the Wind. Ms. McDaniel earned the 1940 Academy Award for Best Supporting Actress – becoming the first, African American to win an Oscar. During World War II, Ms. McDaniel helped entertain American troops to get their minds off the War and keep their spirits up. Movie offers stopped coming in after a conflict with the NAACP. The Civil rights movement also affected the sort of roles she was accustomed to and they slowly stopped coming in. Ms. McDaniel did not let the slow and event ually stop of offers stop her from doing something else. She returned to radio in the late 1940s. In 1947, she took the starring role on CBS radio’s The Beulah Show. In 1951, Ms. McDaniel started filming a television version of The Beulah Show. When Ms. McDaniel was diagnosed with breast cancer in 1952, actress Louise Beavers stepped in to assume her role on the TV show. Unfortunately, cancer took her life. She passed away in Los Angeles, California on October 26, 1952. Even after her death, McDaniel was awarded two stars on the Hollywood Walk of Fame. Here is another great actress that paved the way for actresses like me. I commend her tenacity and determination to not give up! This entry was posted on Thursday, December 11th, 2014 at 1:32 am and is filed under Film Critics Blog. You can follow any responses to this entry through the RSS 2.0 feed. Both comments and pings are currently closed.